1800flowers gift card is redeemable at 1800baskets.com, 1800flowers.com, cheryls.com, fanniemay.com, harrylondon.com, fruitbouquets.com, and thepopcornfactory.com. You may also use it to order by phone and purchases at participating retail stores. A physical card has no magnetic strip. It only has numbers printed on the back of the card. (19-digit of Serial Number and 4-digit of PIN without a silver scratch) Gift cards are redeemable for regular merchandises, not for another gift card or membership of free-shipping program. You can find discounted gift cards at gift card exchange sites, such as ABC-Giftcards and Raise. A discount rate is relatively high. It’s around 15% or more. However, the best place to buy is their own website. That’s because shopping portals pay cash back for purchases of gift cards. And it’s usually higher than GC exchange sites. Discover Deals offer 15% to 20% cash back. After you choose an item, shipping address, and a gift message, you will see a page as a picture below. Enter a serial number and PIN. And then click “Apply”. According to terms of DD for 1800flowers, gift card redemption is not eligible for cash back. When you make a purchase with a gift card through DD’s 1800flowers link, DD sends a confirmation email and even posts cash back, but cash back will usually be canceled in the next statement. But there may be a way to get around this. Click here to see more details of the online portal. Limit one Gift Card, Voucher, Fresh Rewards Pass and/or Saving Pass per order. If you have any questions or you do not have your PIN, please call 1-800-993-1192 Monday to Friday from 8am-8pm EST for assistance. But it’s not true. You can enter 2 GCs per order without any problem. When you enter numbers of 3rd GC, you will see an error message. You can apply up to 2 gift cards per order. Call 1-888-216-0235 to apply more gift cards to your order. It sounds you can apply more than 2 GCs if you call the number, but I haven’t done it yet. Say you used two gift cards, the gift cards had enough balance to cover the entire purchase. When you apply a gift card, the website shows an amount they charge on the gift card and the remaining balance of it. Card#1 was redeemed the whole amount and now zero balance. They charged the rest on Card#2. However, gift cards are not charged when checkout. They will be charged when items are shipped. And most importantly, amounts they charge on gift cards are sometimes different from amounts you see at checkout. 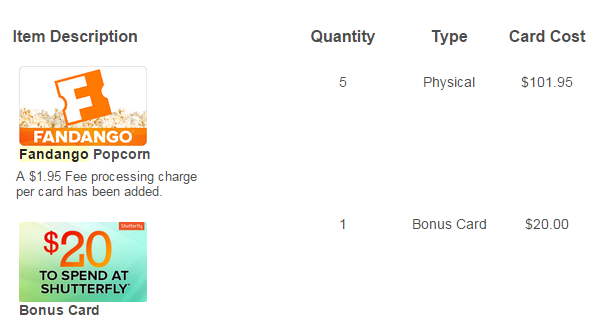 You believe that Card#1 was fully redeemed, but it may not be charged at all, and the whole amount was charged on Card#2, or they charge different amounts on the both gift cards. These things happened to me so many times. So, it is very important that you keep gift cards until your order was processed and shipped and then check the remaining balance of the gift cards. 1800flowers has its own reward program called Celebration Rewards. You can earn 1 point on every dollar you spent. Every month, they issue Saving Pass if you earn enough points. A minimum is 200 pts and worth of $20. Simply put, it’s 10% back in point. Saving Pass is just like e-gift card. It has 19-digit of Serial Number and 4-digit of PIN, and you can use them in the same way as gift cards. But remember that there is an expiration date. Saving Pass is valid for 90 days after it’s issued, and points are valid for two years. You can earn reward points by purchasing gift cards, but not on redemption. Celebrations Rewards is common program among all participating brands including 1800baskets, Cheryl’s, Fannie may, harrylondon, fruit bouquets, and The popcorn factory. 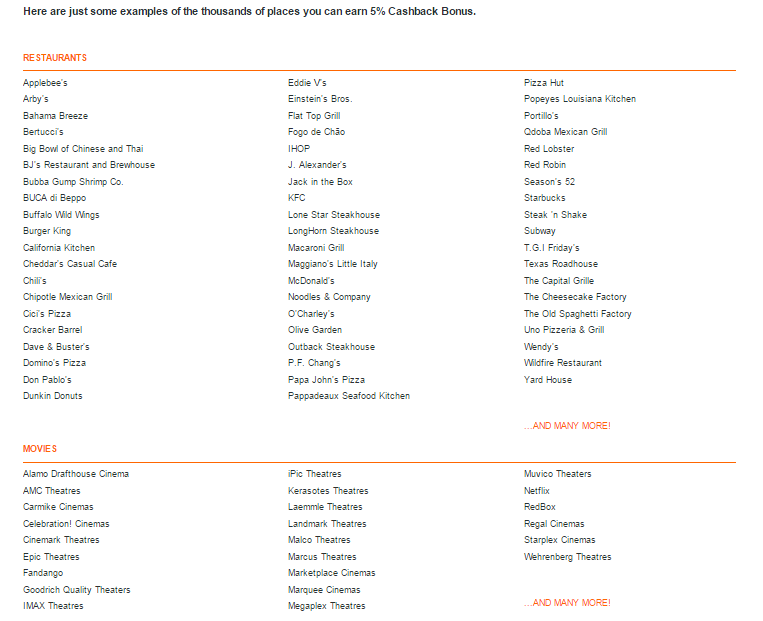 You can use gift cards at all participating brands including 1800baskets.com, 1800flowers.com, cheryls.com, fanniemay.com, harrylondon.com, fruitbouquets.com and thepopcornfactory.com. You can use up to 2 gift cards per transaction. Many portals offer a good rate for the purchase at 1800flowers.com. I personally and exclusively use Discover Deals for 1800flowers. The following information is only from my experience with DD. So, results may not be the same when you use other online shopping portals. Purchases of 1800flowers gift cards are eligible for cash back. The gift card is redeemable at 1800baskets, Cheryls, The popcorn factory, Fanny May, and fruit bouquets, too. According to terms of DD, GC redemption is not eligible for cash back. There are always some coupons available. When you click through 1800flowers link and use coupon, you may receive a confirmation email of cash back from DD, but it will be clawed back. Shipping, Tax, or other service fees are excluded. A confirmation email of cash back won’t be sent until an item is shipped or delivered. In 1800flowers website, you can visit stores of other 5 brands, 1800baskets, Cheryls, The popcorn factory, Fanny May, fruit bouquets with 1-click on the tabs. When you enter 1800flowers first, then click the tab of 1800baskets, a web address is www.1800flowers.com/1800baskets-home. If you click other tabs, it’s the same, www.1800flowers.com/other stores name-home. Even if you buy a bucket of popcorn, a web address always starts with 1800flowers. If you enter the Cheryls website and then buy a fruit bouquets’ item, a web address always starts with www.cheryls.com. There are two types of partner. One is the Card-link partner. 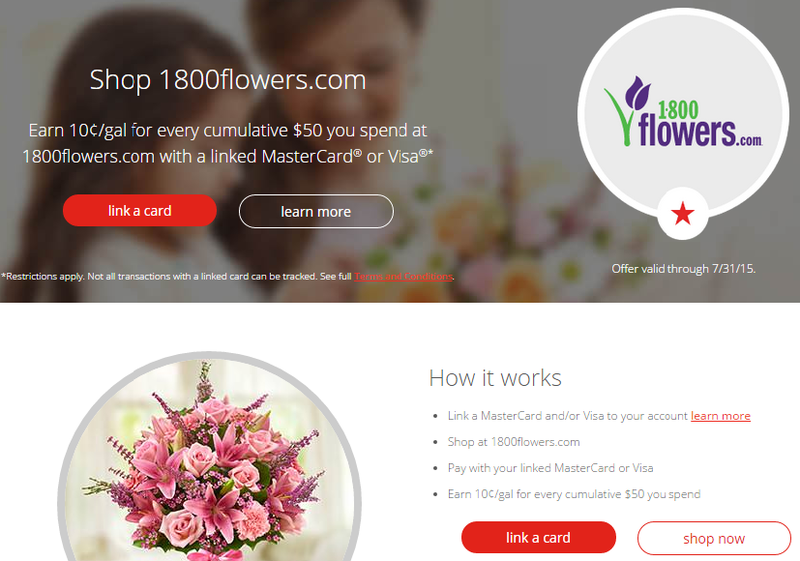 When you purchase something at 1800flowers.com with linked credit cards, you will receive a reward of that partners program. SYW (Shop Your Way) reward program is a good example, and I believe it has the best offer of all. You can link up to 5 Visa and 5 MasterCard credit cards. When you use linked credit card at participating merchants, you will receive SYW points. SYW has many merchants as card-link partners. Rates vary by merchants. 1800flowers offer 20% back in SYW points. Other 5 brands also are all participating and usually offer the same rate. So, you don’t have to worry about which website to enter to check out. Around the end of 2014, the rate jumped up to 40%. If you bought $100 GC at that time, you’d earned $40 in SYW points (+$20 from DD, $10 in Celebration Rewards, and your credit card reward.) I like card-link partners very much because you can earn cash back from a portal at the same time. The other types of partners issue promo codes. When you check out with a promo code, you will receive their rewards. Rapid Rewards is very popular, and it offers a relatively high reward for minimum spending requirements. Promo code (RR22) is always available. A minimum purchase is $29.99, and it gives 1000 Rapid Rewards points. And the points count towards Companion Pass (but not A-List, A-List Preferred.) Rapid Rewards sometimes offers temporary promo codes that offer more points. However, the points earned through these codes may not count towards Companion Pass. 1800flowers has its reward program called Celebration Rewards. You can get 10% back towards future purchases. You can earn the points even when you purchase GCs but can’t earn it when you redeem GCs. Fuel Reward Network has a promotion for purchases at 1800flowers.com. You can earn 10¢/gallon discount on every $50 spent. $50 isn’t a minimum requirement. An amount you spend is cumulative and recorded in your FRN account. Once the total reaches $50, they post the reward to your account. 10¢/gallon is worth up to $2. So, the reward is equivalent to 4% cash back. If you don’t know about FRN, please click here. The greatest point of this promotion is that it is not a shopping portal deal, but MasterCard and Visa cards link deal. In other words, you can earn cash back or travel reward from shopping portal site and an FRN reward with a single transaction. 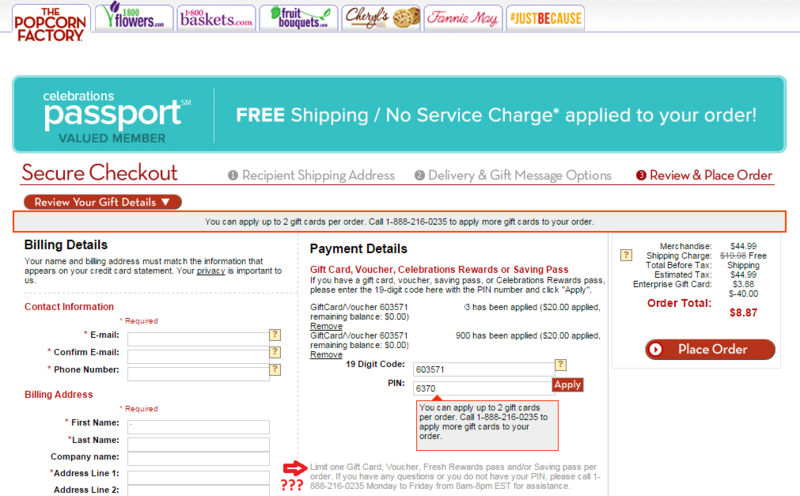 FRN online mall has 1800flowers, but you don’t have to use this portal. There are the better ones. The best rate is 15% from Discover Deals. When you purchase something at 1800flowers with a linked credit card, you will earn 15% cash back and 4%-equivalent in FRN Rewards. So far, it’s only double. What is the third one to make sense of the title of this post? It’s Shop Your Way. SYW is also a partner with 1800flowers. You can link your MasterCard and Visa cards. When you use a linked card for a purchase, you will earn SYW rewards. SYW offers 20% back in SYW points. Fortunately, FRN and SYW partner program don’t affect each other. You can earn both card-link partner reward. So, it’s now triple. Plus, you can earn 10% back in Celebration Reward (loyalty reward program of 1800flowers.) And there is your credit reward, too. What’s more? You can earn all rewards above on a purchase of GCs. 4%+15%+20%+10%+1%=50% A half of expense will be back in a variety of rewards. Their GC can be sold for around 60% of face value to GC exchange sites. By rough estimate, 10% reward will be remain!!! 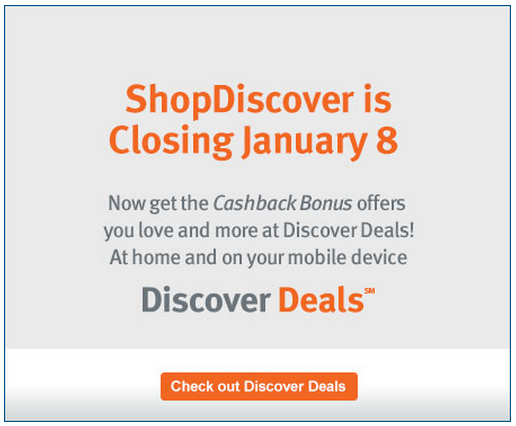 On January 8th, ShopDiscover became Discover Deals. Discover Deals also combined Discover Extra with it. My first impression was that it was a little hard to navigate in the website pages. But I will get used to it. My first purchase through Discover Deals was Kmart.com. It’s 5% cash back now. Several days ago, it was 10%. It seems that it was a promotion for the holiday. Since sometime in 2014, ShopDiscover stopped displaying promotions clearly. It used to be like that picture below. You were able to see clearly that a promotion was ongoing and which merchant offers additional 5% cash back. I think Discover Deals still offer the same types of promotions, but they don’t show clearly. So, you will need to pay attention. I expect the next one will be Valentine promotion, and it will start in a few weeks. Terms and conditions of cash back seem the same. I was worried that they would get strict about a type of payment. ShopDiscover paid cash back even when I used other credit card or merchant gift card for purchases. My first transaction after January 8th was at Kmart.com. 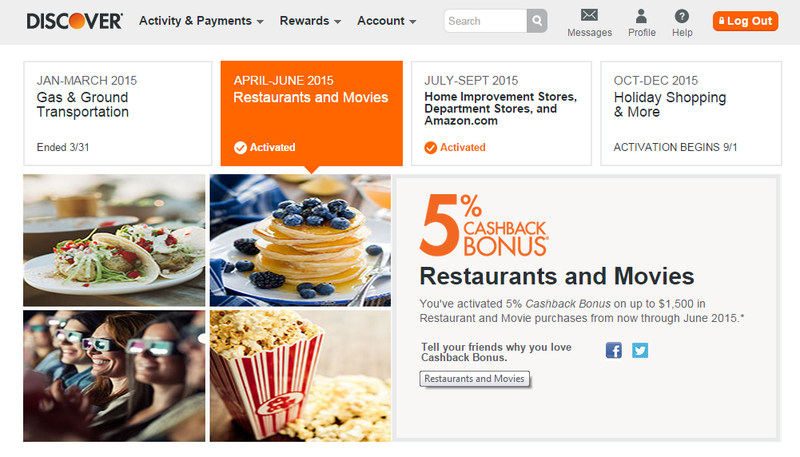 I used GCs, and two days later, I received email from Discover that informs I earned cash back. So, I believe that it’s OK with Discover Deals. I think that changes are only a name and design of web pages. In fact, the statement of my Discover card, which closed on November 11th, 2014, already shows “DDEALS #% CCB – merchant name + $####.” I used merchant gift cards for all transactions, and they paid cash back anyway. 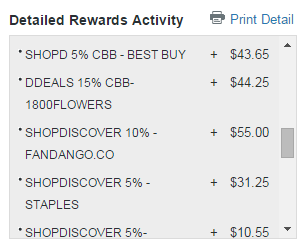 The statements of my Discover card says, “DDEALS 10% CCB – SEARS” since November. 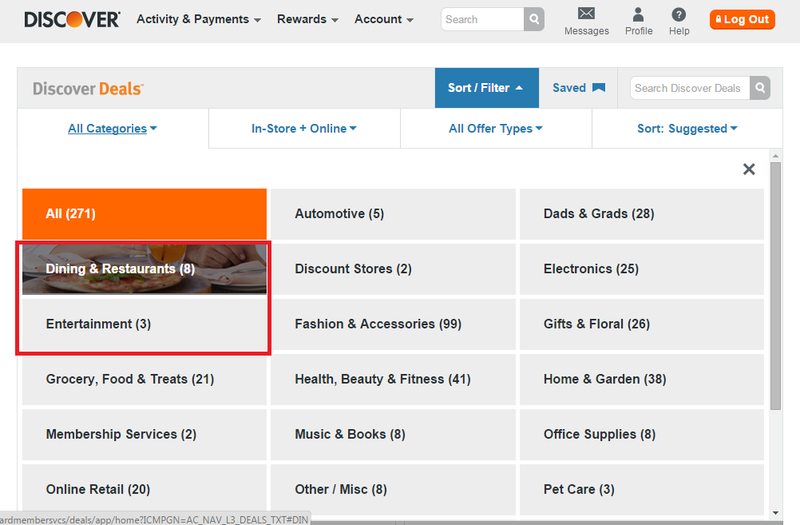 However, now you can’t find SEARS in a list of Discover Deals. Come to think of it, some merchants had “Discover Deals” tag or frame for the last few months in ShopDiscover pages. I don’t remember how they were for all merchants, but I do remember Kmart had the tag and Sears didn’t. It’s not a big problem, though. I found 5% cash back at ShopAtHome. And depending on categories you are going to purchase, TopCashback offers up to 7% cash back on Sears purchases. One more thing. I had expected that Target would come back to the list on this occasion. But, it didn’t come back. ShopDiscover’s offer for Target was so special that I longed for its coming back. However, it seems that Target was not temporarily removed from the list but permanently. Discover Extra was merged into Discover Deals. There are other types of deals you can browse, “Statement Credit” and “Instant Saving.” I checked all of them, but I can’t find anything interest to me. I guess these types of deals require you to use Discover card for the transactions. 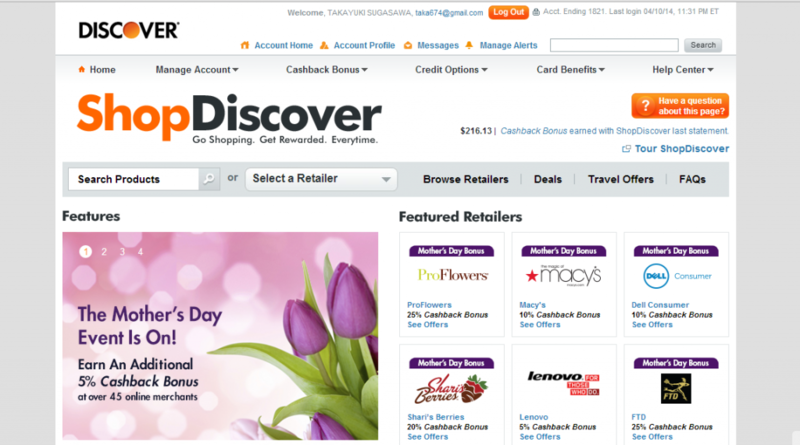 You need to be a card holder to use Discover Deals. My card is Discover it. In addition to an access to Discover Deals, it offers 5% rotating category. Please click here to see details of Discover it card.